I know I haven’t exactly been that domestic goddess lately, but with these working hours I’ve been living on Marks&Spencer take-away. 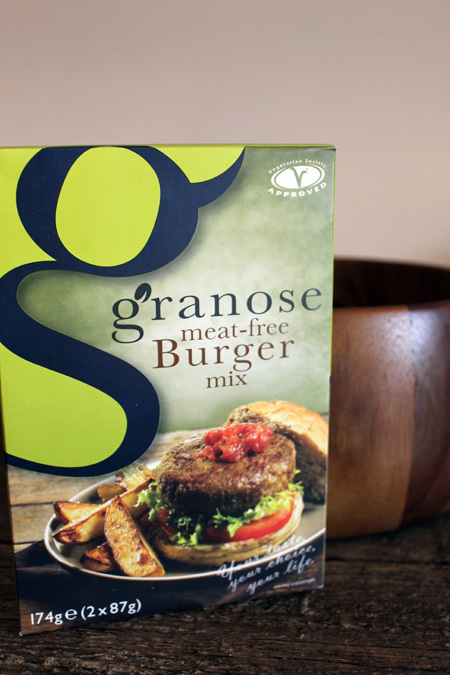 But yesterday at the bio shop this veggie burger mix looked too good not to take home and give it a try. 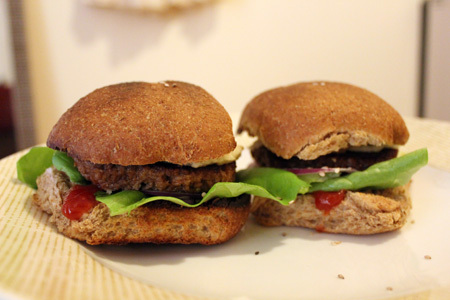 And the vegan burgers turned out heavenly, with not much effort at all! Served in a toasted wholewheat bun, the burgers are topped with green leaves, red onion, tomatoes, pickles, sesame seeds, mustard, ketchup and a tofu substitute for mozzarella cheese. I highly recommend to try this at home! These look so yummy for a healthy burger!